Jim Vaccaro and his team have worked to provide clients with valuable advice and assistance for more than three decades. Our consultant services afford both buyers and sellers with beneficial aid and information critical for decision making relative to selling or acquiring a business or commercial property. Craig Campbell is a graduate of Grove City College and the Stonier Graduate School of Banking. His banking career spanned 30 years, where he worked for PNC Bank, the Royal Bank of Scotland, and First Marblehead Corporation. He has spent six years in the non-profit sector working for The Salvation Army at their National Headquarters in Washington, D.C. 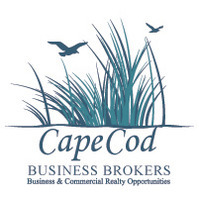 He joined Cape Cod Business Brokers as an account executive in 2014. His accounting acumen and his in-depth knowledge of issues and intricacies facing small business owners helps us to better serve our buyers and sellers. Craig has been married to his wife, Alice (Seward), for close to 35 years. They have three daughters, Jennifer, Sarah and Kristen and an amazing granddaughter, Amelia.. Craig can be reached at 774-487-9906. 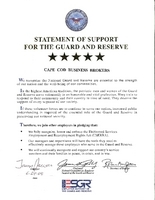 Cape Cod Business Brokers has been cited by the United States Department of Defense for its support of the National Guard and military reserve units. Jim has a distinguished two decade record of community commitment including serving as Chairman of the Board of the Mashpee Board of Selectmen, the Cape Cod Foundation and the Mashpee Community Concert Committee. He has chaired several other elected and appointed boards throughout Cape Cod and continues to serve on many civic, community and business boards. He is the Founding President of CEO of MashpeeTV. He has also been recognized as Mashpee's Citizen of the Year.